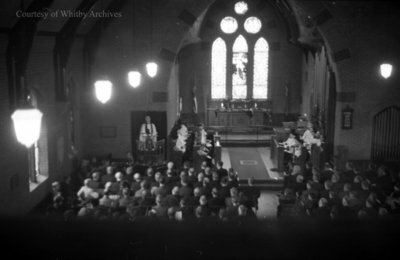 A black and white negative of the Legion Drumhead Service inside All Saints' Anglican Church. In this view the Minister is at the pulpit. Legion Drumhead Service, 1937, Marjorie Ruddy. Whitby Archives A2013_040_198D.